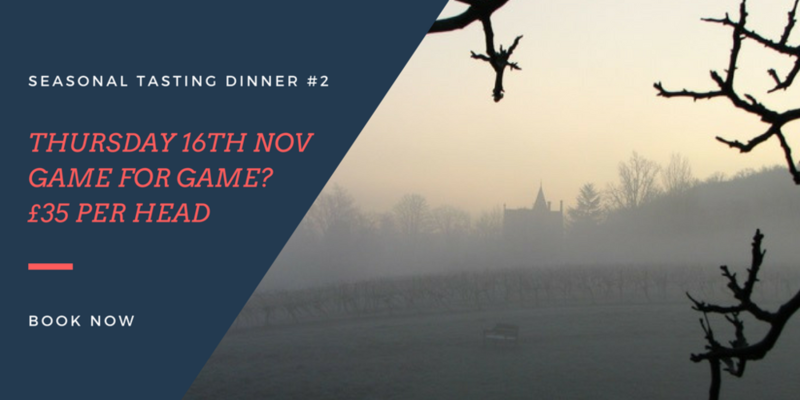 Seasonal Tasting Dinner #2 - Game for Game? Partridge or Pheasant? Venison or Wild Boar? It will of course depend on market conditions but it's the season for wild food at The Grapes and the chefs will be working with the very best game on offer to create a very special menu. The Tasting Dinners remain relaxed in ambiance but the food is that bit more special, an opportunity for the chefs to show off perhaps? The reviews are always outstanding!